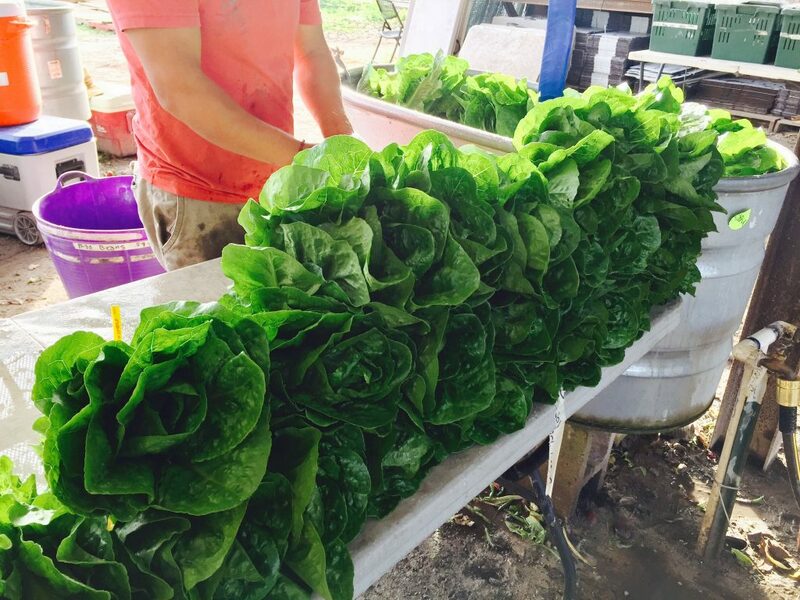 Romaine Calm & Eat Locally Grown Lettuce! Massive outbreaks sickening people across the country and blanket recalls are only possible due to the consolidation of our food system. This includes our dependence on huge farms in California and Arizona for a national supply of lettuce and the existence of CAFOs (concentrated animal feeding operations – feedlots). If food production was more regional, and products were more easily traceable, the impact of one contaminated lettuce operation would not be as far-reaching. If animals were spread out on pasture and properly fenced away from rivers and canals, manure and bacteria do not concentrate and pose the same risk as when tens of thousands of animals are confined. Industrial animal production has taken manure, a fertility resource, and turned it into a liability. Escherichia coli O157:H7 is an especially toxic strain, which is linked to feedlot cattle production. It thrives in the bodies of animals which are grain-fed, instead of grass-fed, due to changes in body chemistry and acidity. Read more about this in Michael Pollan’s book, The Omnivore’s Dilemma. We don’t irrigate using open canals or ditches. We irrigate only with well water which is tested quarterly. We use an organic production approved sanitizing agent in the final rinse water on leafy greens, to minimize any bacteria that could be present from wildlife or handling. Being certified organic includes rules on minimum pre-harvest interval guidelines for applications of manure on crop land to minimize food safety risks. We rotate animals on pasture to prevent the buildup of manure in any one location to a problematic level. We keep electronic records of all of our applications of manure and harvests, as well as distribution records of lots. So if we have an issue, we know who received what, and where in our field it came from.